On Friday, Chilean congressman Hugo Gutierrez (Communist Party) filed a lawsuit against the Israeli Prime Minister for “crimes against humanity”. 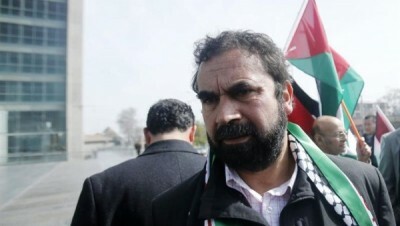 He was accompanied by the Palestinian Federation of Chile. The congressman noted that various international organizations, such as the United Nations, have already described the Israeli attacks as “crimes against humanity”. No one should be able to commit crimes against humanity without believing that they could be judged for them, he argued. “Thats why I find myself invoking the principle of universal jurisdiction in regard with these crimes,” he explained. The principle of universal jurisdiction was used by Spain in the case of Augusto Pinochet, while the dictator was in London, and according to Gutierrez, by Israel for detaining and judging the Nazi Adolf Einschmann. According to international humanitarian law, a military strike is illegal if it kills civilians, except if the death toll is judged proportionate to the concrete and direct military advantage the strike provided. Yesterday, Venezuela’s president Nicolas Maduro also criticized Israel, calling the PM, Benjamin Netanyahu, a “Herod of today”, citing the number of children in Palestine who have been killed.